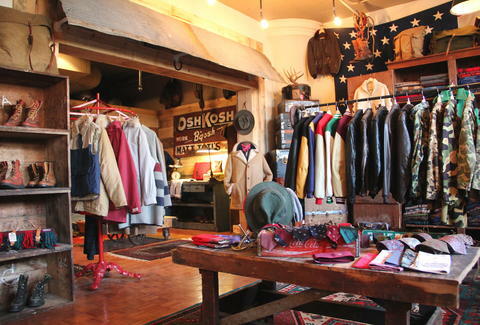 MidNorth Mercantile's housed in the same North Loop warehouse as Sappor Restaurant, and'll fittingly make you look less so-poor. 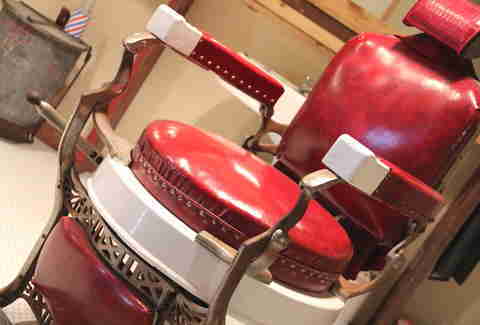 Why, with American-heritage vintage and old-school barbering under one roof, you may even leave looking like you also live under a roof! 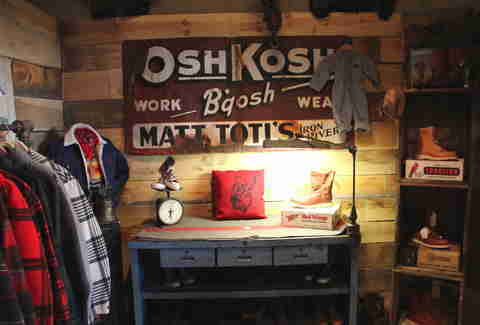 Mirroring its throwback, blue-collar ethos, Mid's covered in hand-milled wood, rust, and peculiarly small overalls. 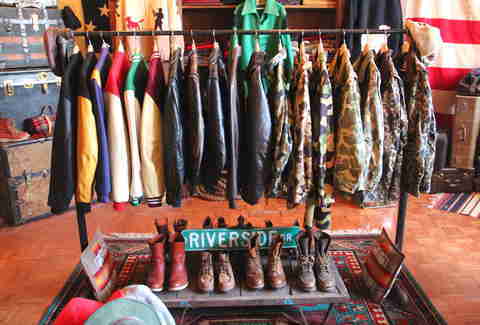 Wrought iron racks hold a revolving door of salvaged, USA-made threads like these varsity jackets & leather jackets, plus camo ones you can't even see. 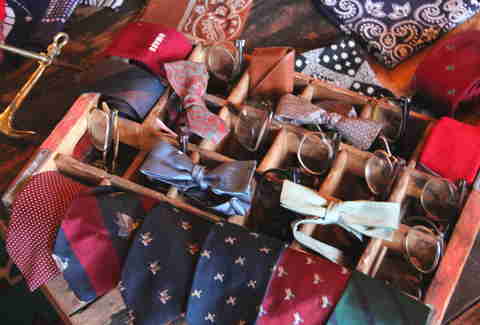 Half-frame wayfarers, and duck-emblazoned ties. 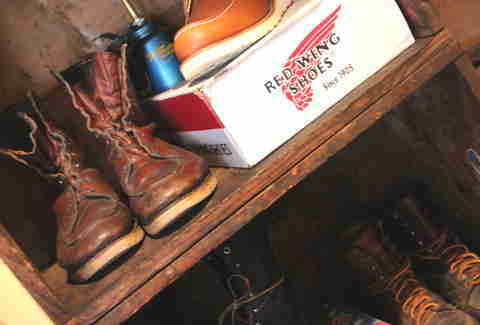 From worn-in Red Wings pulled from crumbling barns to Gokeys that haven't been worn in 30 years, they'll wrap your gams in gloriously aged leather. Look at that rack! 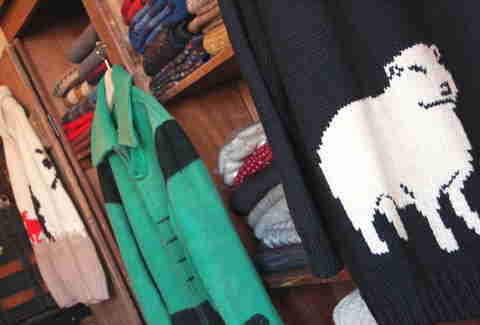 As a side note, putting a sheep on a sweater is the sartorial equivalent of feeding chicken to chicken. 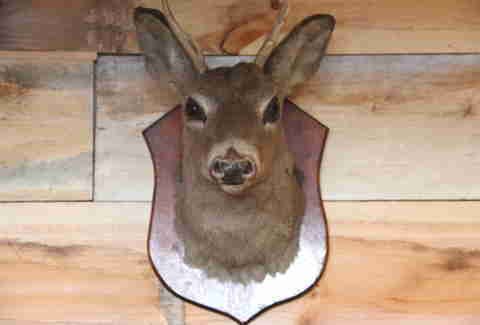 ...Ok, this deer has it worse. 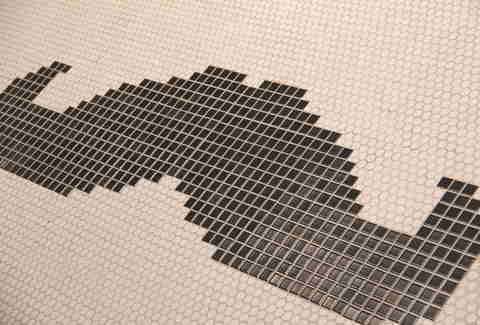 Does your 'stache look nowhere near as orderly as the one on proprietor Mustache Mike, or his barbershop's hand-tiled floor? Hit-up their "quality tonsorial services" including cuts, hot towel shaves, beard & 'stache trims, grooming consults, and "old school tapers", designed to make the top of your head look better than the top of your house.